Just wanted to let you know that I had a biopsy today. Without going into too much detail, I just want to say that there’s an 80% chance that my little problem is benign. So please say a little prayer for me, and keep meditating on that number; 80%. (I’ll know by Monday) Thanks for your support. 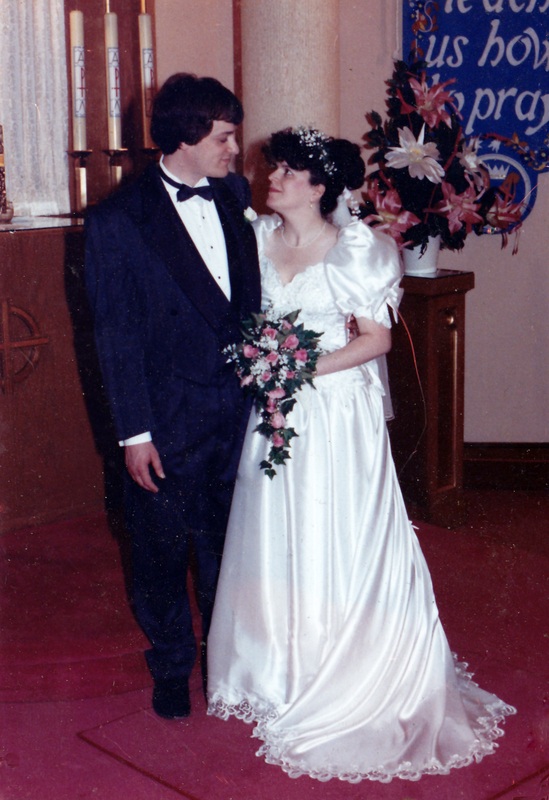 In other much happier news, today was also my 21st Wedding Anniversary! Already?? Seems like yesterday. Love my Mister! This entry was posted in The Real World and tagged Biopsy, prayers, Therese, wedding anniversary. Bookmark the permalink. Love your new icon picture! Aww! And Congratulations on your Anniversary! Time goes by quickly. I’ll soon be celebrating my 26th Anniversary! Thank you Mary! And an early congratulations to you too! Hope all is well! Sending good vibes and prayers your way! I’m having a biopsy myself next Tuesday. My Doctor seems confident that all is ok. But it is just downright scary. As my Dad often says- “Worrying won’t get you anywhere.” Seems logical! Your chances are good. I have had two biopses, and both were benign. I pray the same for you. And celebrate your anniversary Monday evening! Thank you Celia! ( It’s my left one) But man, that was stressful! Thanks for your support, I know I’m not the only one going through all this! Thank you so much! Very blessed! Happy Anniversary! Hope you and your man have many more ahead. Thanks Cory! I really like your imagery here! 😀 Spock would tell me how logical it is that my chances are pretty good. “Geek Boys” Yes! I’m going to make that into a poster- Brilliant! You will be in our prayers. Stay smiling and everything else will work itself out😌! Thanks Dominique, I’ll know tomorrow, and yes, I keep smiling! Congrats on your upcoming anniversary! Life is such a blessing! Congratulations on your Anniversary! I’m just at 3 years…..4 in jun10!